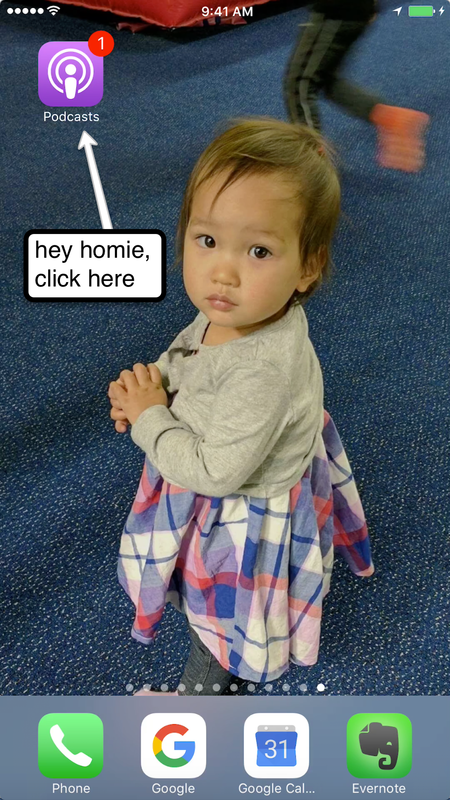 kick off month 3 of Talk Human To Me With A Bang! To mark the occasion and show appreciation for our podcast listeners, we released 2 brand new episodes. As always, these 2 incredible entrepreneurs in their own right talk to us about everything, but entrepreneurship. Their conversations remind us doers, makers, and creators about all of the other parts that make us complete humans. Angie Hilem - What an adventure of an episode! You have unparalleled character and integrity, I can't wait for people to continue listening to your episode, and being inspired by your energy. Todd Lieman - The sincerity of your episode still gets me. Thank you so much for opening your mind and heart to recording an episode with me. Continue spreading genuine kindness. Tiffany Yu - Thank you for trusting me with your story and generously offering it to listeners. You balance vulnerability and relentless commitment with so much grace. Susie Wyshak - Your humor, insight, and reflections carry so much character. I'm so glad to have known you for some time, and can't wait to continue following your journey. Enjoy the Podcast? Give Us a Quick Shout Out! If you enjoy the podcast, we would love a quick show of support on iTunes! 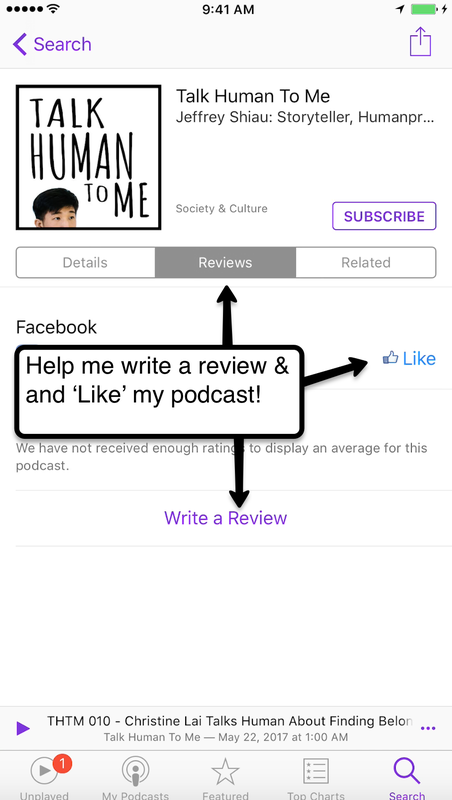 Subscribe to our podcast and spread the word with a Review; this helps us bring more light & attention to our guests' incredible narratives. 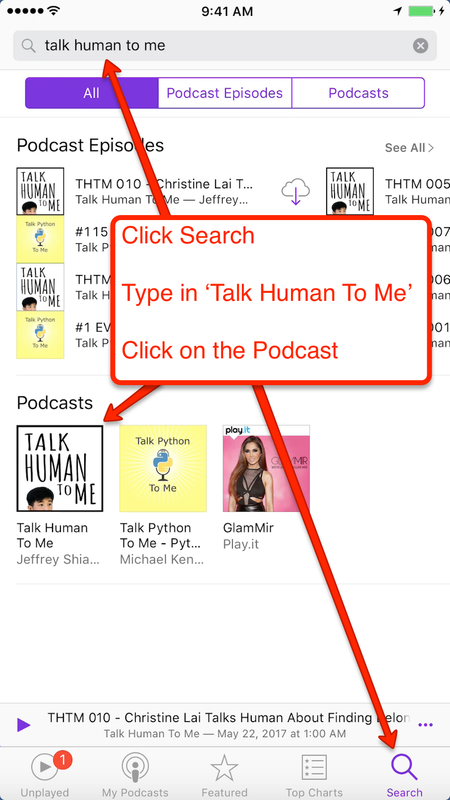 We created screen captures below showing you how to subscribe to our podcast. See Below On How to Show Us Support! You can go directly to the desktop page through this link below.